Margaux Pelen represents the new generation of French graduates: concurrently to HEC Business School master, she completed a Tech master at Telecom Paris, fulfilling her ‘geek’ fiber. Then, rather than integrating some prestigious but somehow mundane financial organization or consulting firm, she cofounded a start-up, Home’n’go, leveraging ‘open data’ to help you select your future home. She has been a fearless entrepreneur ever since. Her track lead her to Africa, visiting soaring Kenyan innovation hubs iHub and m:lab, and melting into African start-up ecosystem. Margaux Pelen: I had been riding on the back of​ this boda boda (motorcycle taxi) in Kampala, Uganda for only five minutes and ​my rider was already showing me his $70 ‘Tecno’ smartphone. 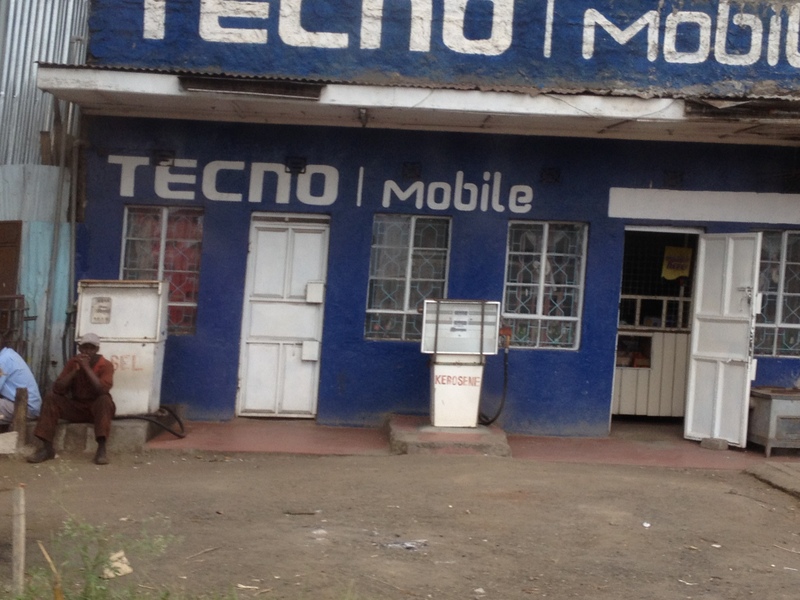 I didn’t know the Chinese hardware brand he was referring to but it soon turned out that Tecno was everywhere. With a wide spectrum of devices from a large low cost basis to the top-of-the-mill “Made in Ethiopia” Phantom smartphone, this phone manufacturer seemed to embody the whole breadth of the Eastern African mobile industry. When in the First World, we tend to only consider the smartphone & apps market while referring to “mobile phones”, it appears relevant to understand that the market is especially pyramidal in East Africa when it comes to mobile devices. As the Communication Commission for Kenya (CCK) points out, 95% of Kenyans have an access to a mobile device but they are surely not all Internet connected. While a wide basis of phone users rely on SMS based services, the top of the pyramid with smartphones only comprises 25% of Kenyans, concentrating nevertheless the Internet access of the country. During the month I spent in East Africa, I bought a cheap feature phone for day-to-day communications (along with the m-pesa mobile banking system ) and used a tablet for the Internet. I would therefore follow the path of 99,2% of Internet consumers not using a computer: except for a selective overlap with computer use at cyber cafes, Internet is deeply mobile in Kenya (Editor’s note: deriving from mobile uptake, and low broadband penetration). The reasons might be simple to spot. In terms of hardware, phones are cheap and their battery last longer. For software and as mobile become the most relevant Internet point of consumption, big players such as Google and Facebook have to abide by the local usage and push this usage forward with initiative such as free service Facebook Zero. They sponsor and focus on their local applications and even go deeper with local usage, enabling for instance notifications by SMS or sponsoring the use of cheap smartphones. Editor’s note: Orange makes Facebook available in AMEA to any phone through USSD code (SMS technology). … but Internet suscribers only account for 25% of the population (for now). This whole potential seems amazing: a whole continent, connected and on the move. This picture is nevertheless a bit too overrated when you look closer: even if booming, only 25% of the Kenyan population is using the Internet today. m-Business isn’t always internet based; for very simplistic yet efficient SMS based services only relying on regular phone communications and technologies are legion. Even if many initiatives from the hardware open source BRCK project (driven by the Nairobi-based team behind crowdmapping tool Ushahidi.